At 2:46 PM Tokyo time on Friday March 11th 2011 one of the largest earthquakes ever recorded struck off the Northeast coast of Japan. The quake which is now measured at 9.1 on the Richter scale caused damage to many structures from Tokyo north to the city of Sendai which bore the brunt of the damage. Had the damage been limited to that caused by the quake itself few would have given it a second thought as Japan has learned to build in such ways that damage from large quakes is minimal; a 7.3 temblor struck the same area on Wednesday with causing no damage. 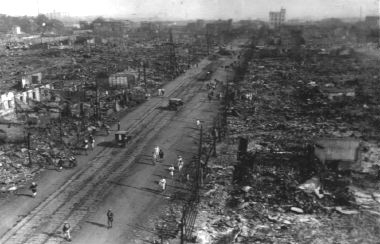 The damage from the quake would have been significant for Japan would have been exponentially greater in almost any other country including the United States. One only has to look at damage from much smaller quakes in the United States, Europe and around the world to verify this fact. The quake was so massive that it moved the coastline of Japan 8 feet. Large quakes are not uncommon in Japan but this one was different. It was much stronger than any felt in Japan’s recorded history including the massive 8.1 quake that struck Tokyo on September 1st 1923 the Great Kanto earthquake (Kantō daishinsai) which devastated Tokyo and the surrounding prefects killing between 100,000 and 142,000 people and spawned tsunami some of which were recorded as being 30 meters high. The bulk of the casualties in that quake were caused in the great firestorms which engulfed the region. The quake which was centered 80 miles offshore at a depth of 6 miles where the North American plate and the Pacific plate meet with the Pacific plate pushing westward and driving under the North American Plate. The North American plate broke under the pressure generated by the Pacific plate and was violently lifted upward creating a massive displacement of water from the Japan Trench creating tsunami. 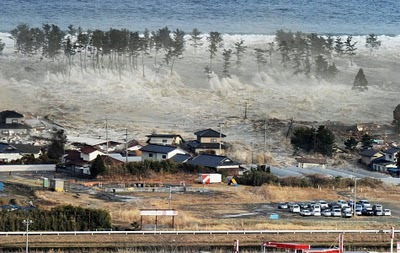 The tsunami struck the coast of Japan quickly but the Japanese tsunami warning system gave residents about a 15 minute notice. The tsunami struck with apocalyptic force sweeping away everything in its path, devastating the city of Sendai burying its airport runway and tarmac while sweeping some towns off the face of the earth with the chaos reaching as far as six miles inland. 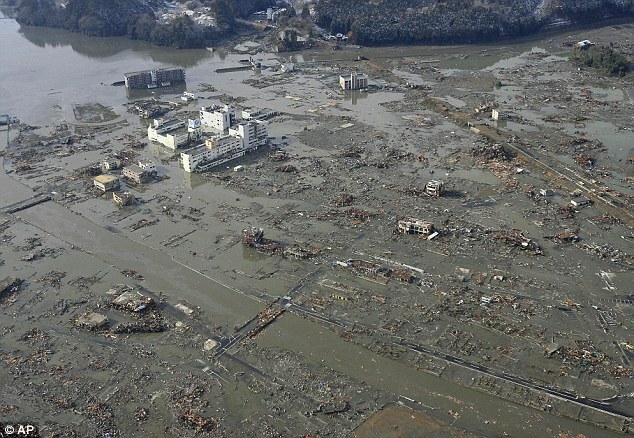 The official death toll continues to climb to over 1500 but 9,500 people are unaccounted for in the town of Minamisanriku in Miyagi Prefecture alone. Yet further threats remain. Large aftershocks some nearing 7.0 on the Richter scale, strong enough to create more tsunami continue to rock the region. The new morning has revealed the extent of the devastation and revealed a potential new catastrophe as the Fukushima Daiichi nuclear plant is in danger of losing its remaining battery power to cool down the reactors. The resultant temperature increase in the containment dome is worrying provoking fears very real fears of a meltdown similar to the one at Three Mile Island caused engineers to vent radioactive steam to lower the pressure in the containment dome. 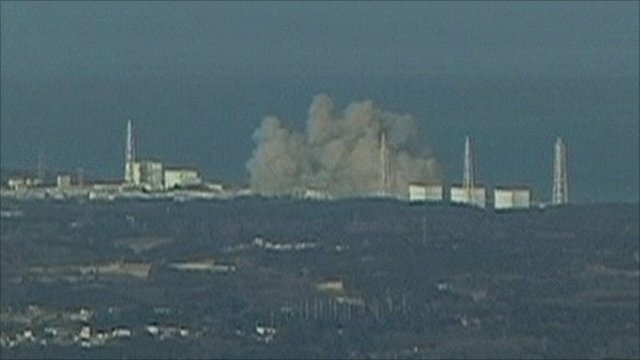 There was a massive explosion in the Fukushima Daiichi nuclear plant’s building which contains the number one unit. Japanese engineers are attempting to flood the containment chamber with sea water but this appears to be a measure of desperation. With the past several hours the highly radioactive element cesium has been detected which indicates that at least some of the fuel rods have melted at the Daiichi number one unit. The nearby Daini plant has also reported a loss in its ability to control its reactor pressure and Japanese engineers are considering releasing radioactive steam to relieve pressure in these facilities. A state of emergency has been declared at the Daiichi unit, the first in the history of Japan’s nuclear program and residents within twelve miles of the unit have been ordered to evacuate. Three more reactor units at the affected plants are under states of emergency and Japanese engineers are franticly attempting to get power to generators which power the pumps which cool the reactor cores. 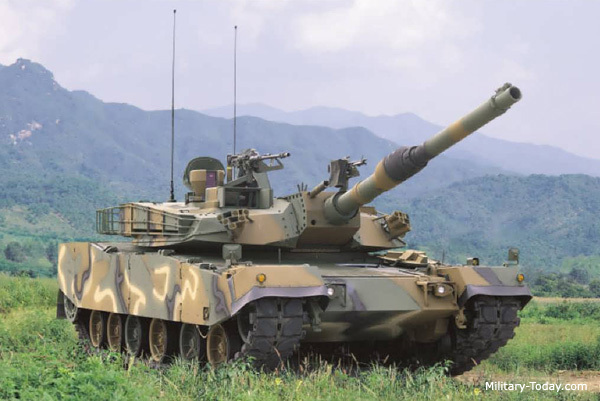 Japan has the best civil defense and disaster preparedness system in the world is under tremendous strain. 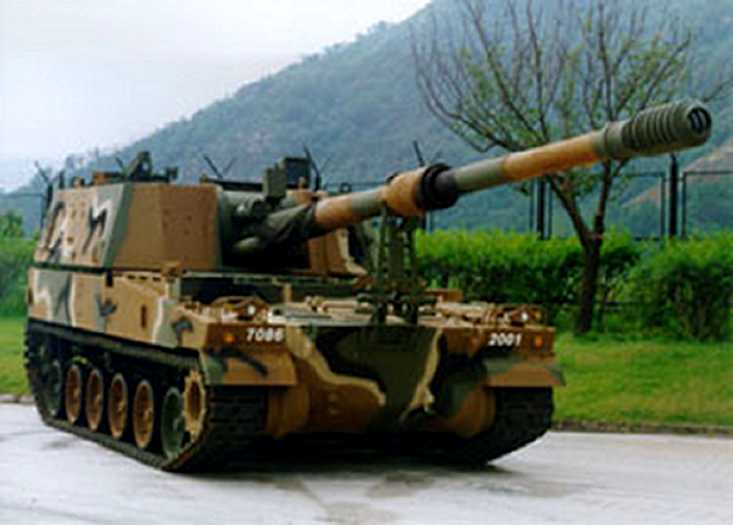 It has mobilized its military in order bolster the rescue and relief operations and asked for international assistance. At the present time 5.1 million homes are without power and over a quarter million people are in emergency shelters, a number which could go up depending on the extent of evacuations near the damaged nuclear plants. The United States has sent warships to provide humanitarian relief efforts including the USS Ronald Reagan, the Command Ship USNS Blue Ridge and several cruisers and destroyers. 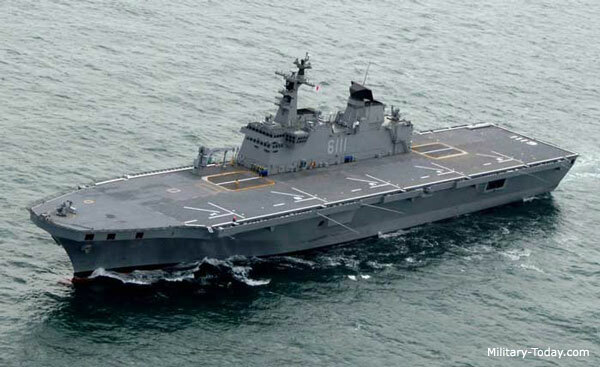 The USS Essex which had just arrived in Malaysia is getting ready to return to Japan to rendezvous with the USS Harpers Ferry and USS Germantown off Tokyo to prepare for any humanitarian assistance/disaster relief duties. The 7th Fleet is working to get relief supplies and equipment into position to assist the Japanese. 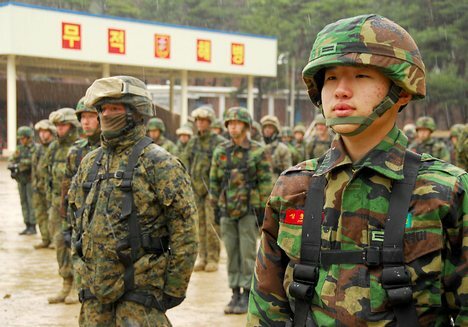 Likewise elements of the III Marine Expeditionary Force to provide helicopters, heavy equipment, medical support and other humanitarian support to affected areas. The situation is still developing and the danger from aftershocks, additional tsunami and disease related to the flooding as well the nuclear situation will complicate an already cataclysmic event. One cannot discount the possibility that the quake could cause other major seismic events. This is not unprecedented in Japan as the 8.6 Hōei quake of 1707 triggered a major eruption of Mount Fuji (Hōei dai funka) a month later. Of course I always recommend that people pray for the victims of such disasters but everyone can do a little bit to contribute to relief efforts. 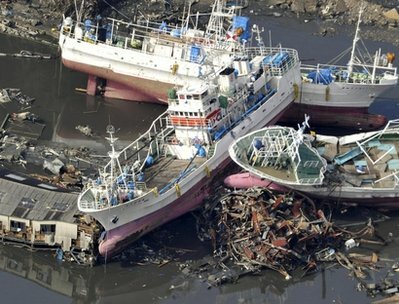 CNN has published a list of organizations on its website as well as other pertinent information at http://news.blogs.cnn.com/2011/03/11/tsunami-aid-and-relief-how-you-can-help/ . Both the Red Cross and Salvation Army have ways to donate $10 via text message with the money being applied to your cellular bill. 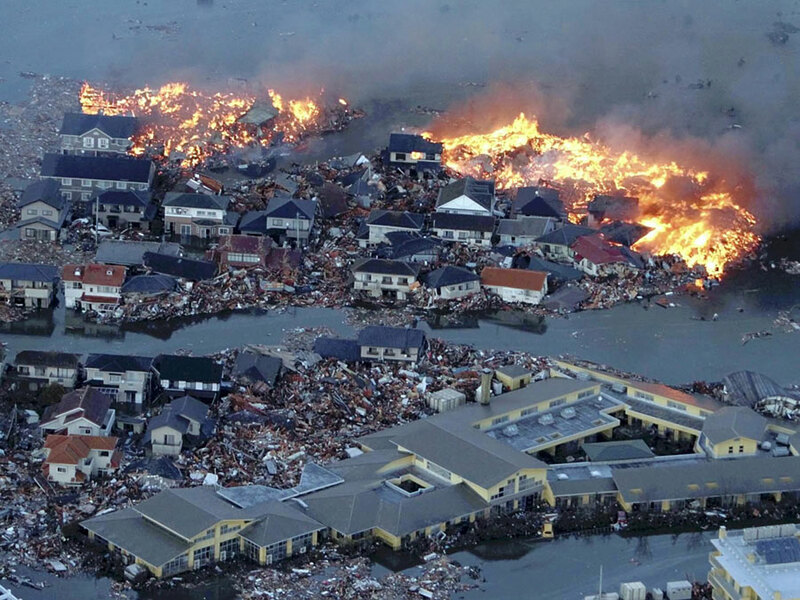 To donate to the Red Cross text “redcross” to 90999 and for the Salvation Army text either “japan” or “quake” to 80888.